Young debutant Aayush Sharma’s social media updates are quite the rage on the internet. Young debutant Aayush Sharma’s social media updates are quite the rage on the internet. But of all that he posts online, it’s his posts and tweets with his son Ahil that are sure to go viral. Aayush is a private person and reserves his affection for the private moments he has with his son. But, at times we are guessing its too hard to resist. 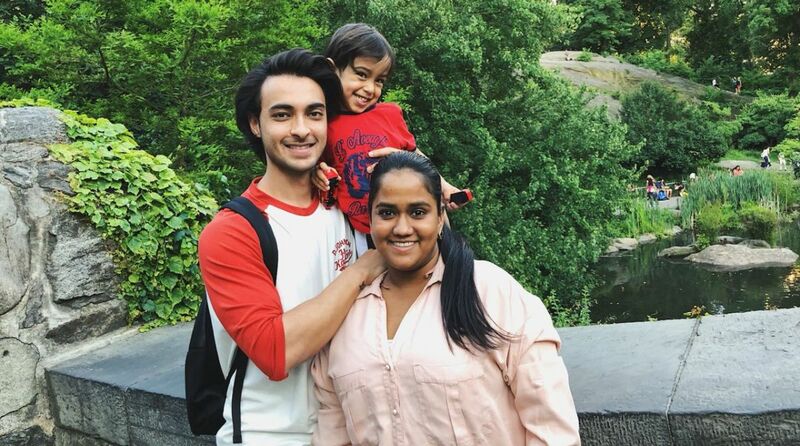 Be it the video that Arpita sent him from the U.S that made him leave everything and rush to have Ahil in his arms or the absolutely cute twining photos he has been posting from New York, it’s quite clear that the two are inseparable when together. Meanwhile, Salman Khan is all set to launch his brother-in-law Aayush Sharma, with his upcoming production venture titled Loveratri. The film will hit the screens on October 5. The film, which is set against the backdrop of Gujarat, will also star debutante Warina Hussain.